Looking for a special piece of home decor to change your room from ordinary to extraordinary? How to Care for Your Tapestry? 1. Hand Wash / Cold Water / Hang Dry. 2. Do not use bleach. 3. Never use a drying machine. Notes: 1. Please kingly allow 1-2 cm deviations due to manual measurement. 2. Because of the different monitors in each computer and the shooting light difference, the pictures and actual products will be slightly different. Size: 50" Long x 60" Wide / 130 x 150 cm. Material: Polyester fabric that is skin-friendly and durable. Wash care: Dry cleaning or washing with cold water, do not use chlorine bleach. Detailed sewing and creative design make it an essential element for your room decoration. 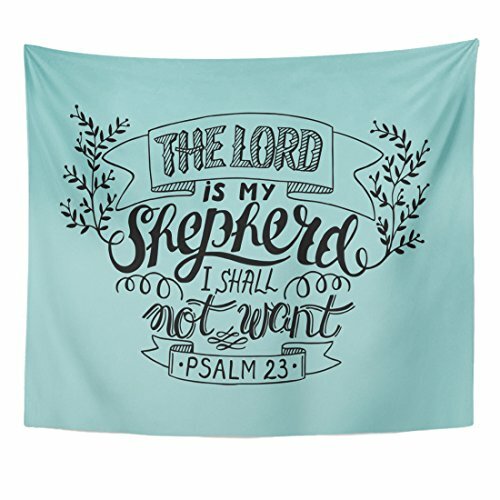 Perfect for Wall Hangings, Dorm Decorations, Beach Throws, Picnic Blankets, Bed Spreads, Sofa Covers or just Gift Selections. If you have any questions about this product by TOMPOP, contact us by completing and submitting the form below. If you are looking for a specif part number, please include it with your message.